Made for Dec's Mag 2018. Mayor, Ebeneezer Grinch has cut Christmas funding for the Wayward childrens Orphanage and so they are relying on public donations. Santa said he would be more than happy to give the children presents and Christmas dinner this year, much to the dismay of Mayor, Ebeneezer Grinch. 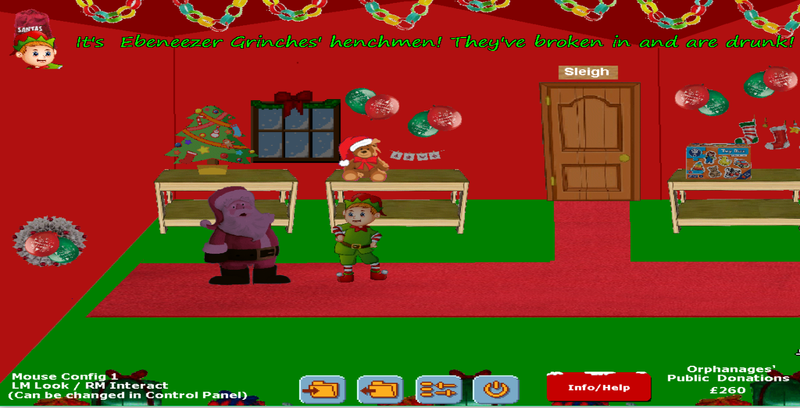 So, Mayor Grinch has sent his henchmen to Santas workshop to ruin the orphanages Christmas! A good game for young children.